Digging into the Word together in Mark 9:2-9 . 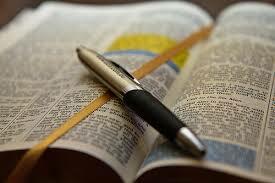 On Wednesday, February 7, 2018, Carla Eullis will be leading Bible Study in Room 2 at 10:30am. Come ready to observe, interpret, evaluate and apply God’s Word in your lives. By cdccastillo in Bible Study on February 1, 2018 .